Place one atop Battle Bridge side deck during the seed phase. Battle Bridge is now open and in play (immune to cards which close doorways). 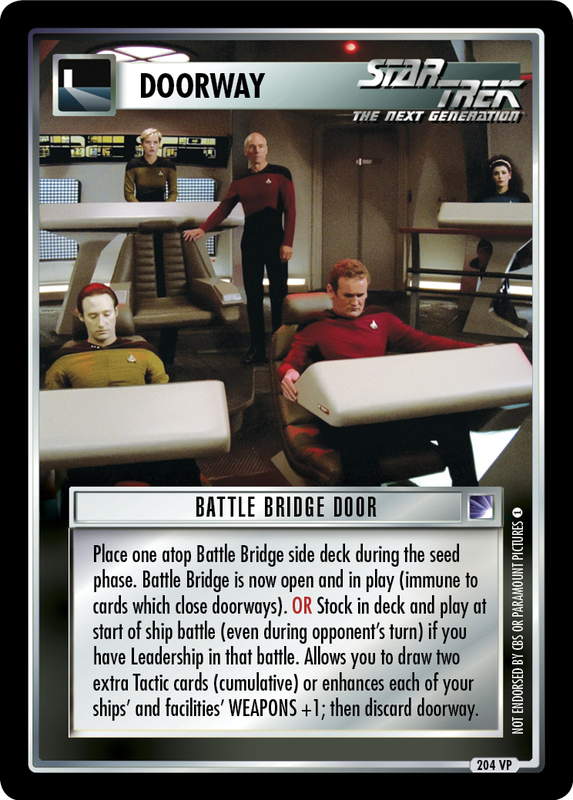 OR Stock in deck and play at start of ship battle (even during opponent's turn) if you have Leadership in that battle. Allows you to draw two extra Tactic cards (cumulative) or enhances each of your ships' and facilities' WEAPONS +1; then discard doorway.